Things in-game may become more difficult without a buddy handy. 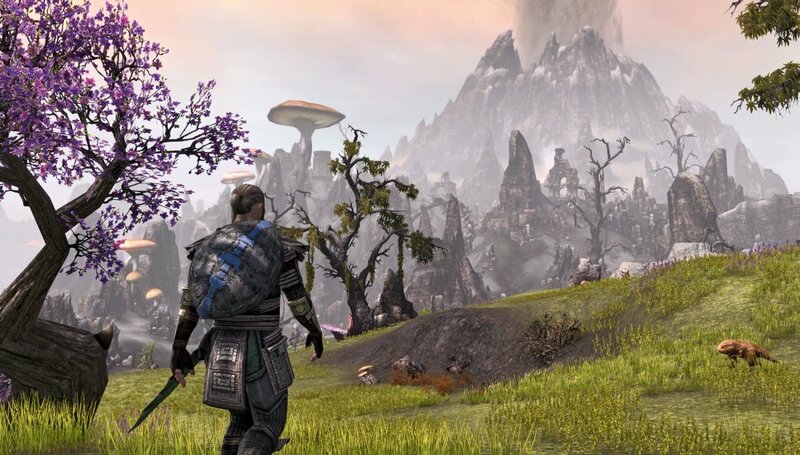 There's little doubt that Elder Scrolls Online is one of the main games we will be looking forward to play this year, if only to see the beautiful, co-op potential it could bring to the console market. Luckily for us, we stumbled upon this developer diary video that show's us a glimpse of what we can expect to see this summer. As the two players shown work together to take down the giant golem boss monster, they combine their unique class powers for mutual survival, such as the cleric healing the attacking warrior and boosting his defenses. They mentioned that, during their development, they noticed that once a boss reaches a low health total, most players will rush all together at once to finish him off quickly. As mentioned, the readily available Fast Travel system (thankfully) will make an appearance in this game, working to teleport players either to the various shrines scattered around the open world or even to their closest party members as quickly as possible. They want players to spend their time playing the actual game instead of wasting time having to travel long distances constantly. The only drawback mentioned here is that players must have been to the place they want to go beforehand, and rightfully so. There'll be tons of interesting side-events for you and your friends to dive into as well, like intervening on a dark ritual and stopping the summoners from unleashing demonic doom. As the battle rages in these events, magical totems called "pinions" are required to be deactivated to stop the ritual from finishing. Again, cooperation, teamwork, and strategy are needed to deal with the pinions, but also to hold off enemy attacks. 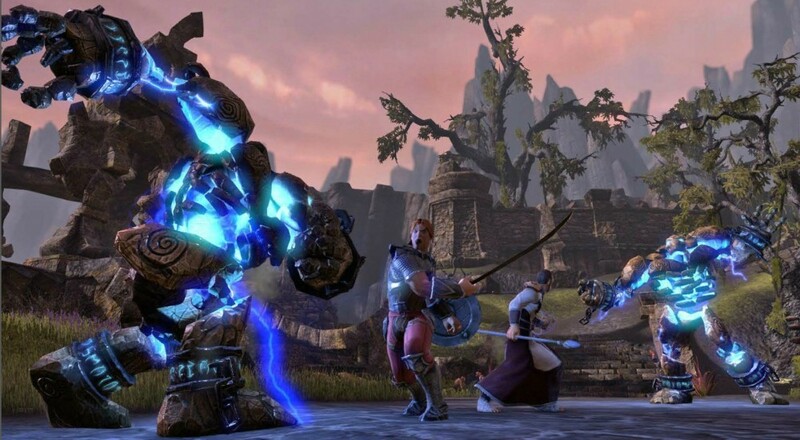 Currently, Elder Scrolls Online is scheduled for release this coming June on PS4 and Xbox One, and this April on PC, but players can sign up to be a part of the ongoing open beta now. Hopefully more news on the co-op specific features will surface soon. Page created in 0.6326 seconds.